It’s that time again! Every year I make these predictions of the season to come and sometimes I’m right – spectacularly so last year (correctly predicting Hull beating Wigan at Wembley in 2017), sometimes I’m unbelievably wrong – erm, as we’ll see this year. So, let’s start with our trip Down Under. I said we’d beat Wigan in Wollongong and lose to St George after running them close. Verdict – I was sort of half right. With eight minutes to go vs St George we were 18-18 and looking strong before a couple of late tries made the score look more lop-sided than it deserved to be. Going in at half time 12-10 up and unlucky not to be further ahead remains one of my all time Hull FC supporting moments, surrounded by people with my accent for the first time in years, singing my heart out, with my VERY Aussie kids screaming GerremonSARD…. ahhhhhh take me back! Super League – My prediction was a top four of Saints, Hull, Leeds and Warrington – well again 50% right, failing to spot another Annus Horribilis for Leeds, our appalling injury crisis, and a great season for Wigan. I thought we’d win the entire shooting match, beating Saints in the Final– which was well off. Bottom Four – My prediction was Salford, Huddersfield, Rovers, Widnes. With Widnes to go down and get replaced by Toronto or Leigh. I’m actually quite pleased with this – I got three out the four right and had the right team going down – didn’t spot the rise of the cockneys though. Verdict – 4 out of 10 – See the teacher after class! Challenge Cup – I said we’d win and beat Wakey in the final. Verdict 0/10 – Although it was great to see Le Cats take home the biccies. NRL – I said the Roosters would win the Minor Premiership and the Grand Final with Titans the Wooden Spooners. I tipped Parra and Wests Tigers to make the eight with the Bulldogs and Warriors finishing bottom half. 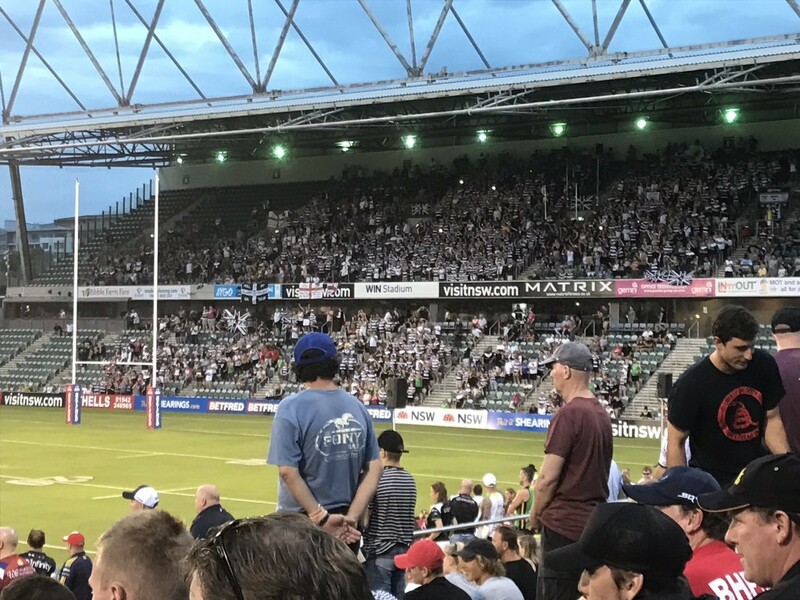 Verdict – More or spot on (with the top end anyway)– The Roosters won the Minor Premiership albeit by points difference in a VERY congested top eight separated only by two points from first to eighth and they went on to win the Grand Final. I missed the terrible year that Parramatta would have and overestimated the Wests Tigers abilities too. I’d give myself a solid 8/10 here. Origin – I said a NSW win 2-1 which was spot on. I said Tedesco would be Man of the Series – which he bloody well should’ve been – that honour going to Billy Slater for some unfathomable reason. Sackings – I predicted Betts going at Widnes, McNamara going at Catalans, Sheens resigning after Rovers finishing in the bottom four with Kearney in NZ, Barrett at Manly and Bennett at the Broncos all getting the arse. Verdict – Betts was a big tick, McNamara rallied after an appalling start, and Christ only knows how “the Wizard” is still stealing a living East of the River. I got Barrett right, Kearney wrong, and Bennett has clung on – although looks like 2019 will either be at the Tigers or at the very least his last at Brisbane. 5/10 and I really must stop hating on McNamara. I also said that this would be the year the Jamie Shaul got full England honours, and as I sit down to write this, he’s just been called into the squad for the game v France, so I’m pretty happy with that! To sum up, as a Hull supporter its been a bloody weird year (aren’t they all though) – from the ecstasy of seeing my team in my own backyard for once (twice actually) to the agony of that record defeat at Warrington. Regaining Westy, losing Watts, seeing Jake the Snake put the Kiwis to the sword in Denver, seeing us put out a team with only one first choice back, and three first choice forwards. Watching us beat the Bin Dippers with 12 men, seeing us lose to them with ex-Hull players Ben Crooks and Craig Hall starring. Seeing Kelly score twice against NRL opposition, then seeing him sit out the final third of the season (and ordering Nuggets from a lady of questionable sexual morals too). From buying our editor Dan a beer or four in Darling Harbour, to re-mortgaging the house to buy a pie at ANZ…… what a ride. 2018 will go down as a year where we had buckets of shite thrown at us, some we deserved, some we didn’t, some of it stuck, some of it slid off – only time will tell if Radders can grow some roses from it.